For the past two months, I have been delaying my evening commute from the West Suburbs back to Chicago proper by spending a few hours at the gym. Finding something with international appeal to satisfy my hunger after heavy weights and cardio has not been as easy as I thought. I have, however, driven past a peri-peri restaurant named Porto’s Peri Peri tucked in a strip mall. And while looking up the restaurant on Google to get some information on menu and hours of operation, I found that there is also a location in Skokie, Illinois, at 4915 Oakton Street. What looks like a small storefront restaurant is a nice area for small groups and solo diners. There is a fast casual aspect to the experience. You order at the counter and the food is brought to your table. For those who have gone to Nando’s Peri-Peri, it’s the same concept right down to the menu options. Since I was ravenous during the visit to Porto’s Peri Peri, I was very much aggressive with my ordering. 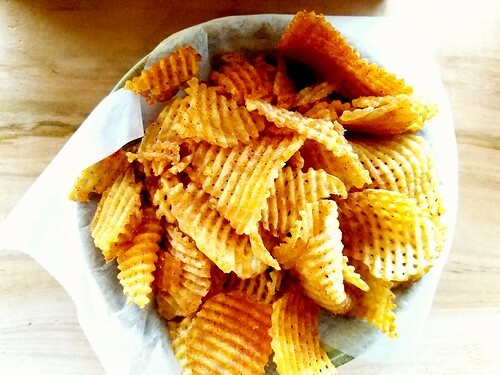 I ordered some peri chips, which were small waffle potato chips that had been dusted with peri salt. Having not had potato chips for several years, these were a bit more appetizing than they probably would have been had I been eating potato chips all along. 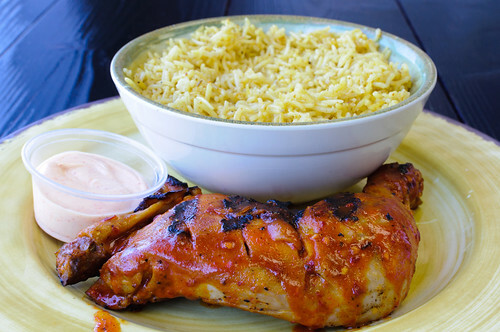 The peri chicken is the best. I had two legs and two thighs in the hot sauce. Not overpowering, given I love everything peppery, the chicken was tender and extremely juicy. Most chicken as juicy as what’s served at Porto’ Peri-Peri would not be done thoroughly, but that was not the case here. With a side of red skin potato salad, grilled corn on the cob, perimayo corn, and yellow rice, the meal was complete. 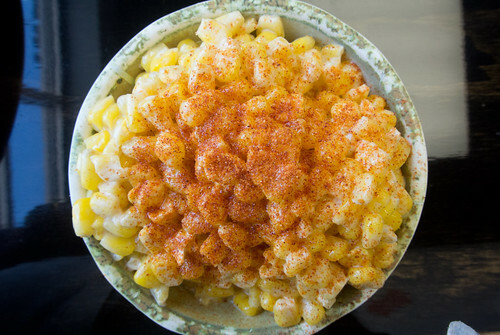 The potato salad is of the mayonnaise variety and since I prefer my potato salad with a mustard base, I must admit that Porto’s Peri-Peri has made me a fan of the potato salad. 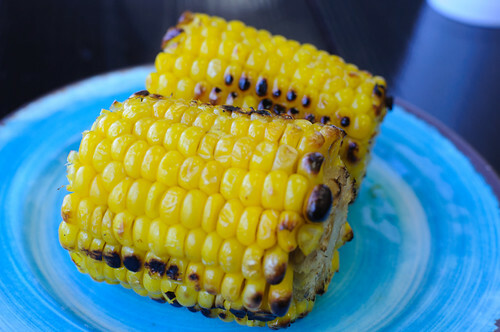 The grilled corn had a spicy rub and reminded me of sweet corn that I’ve had from farmers’ markets. The perimayo corn reminded me of Mexican elotes in terms of visual and in flavor. The yellow rice put me in mind of Indian basmati rice. Having been to Portugal quite a bit, I have not been to any restaurants that have the flare of Nando’s Peri-Peri or Porto’s Peri Peri. Then again, I was visiting friends and they were gracious hosts with loving from their own kitchens. There are several peri-peri restaurants that are making their presences known in Metropolitan Chicago and if they are representative of kitchen delights from Portugal, I will get in enough samplings here so that I will know what to order next time I return to Portugal. Porto’s Peri-Peri in Skokie is a stop that I recommend. And if you happen to be in the West Suburbs, stop in at the Villa Park, Illinois, location at 100 E. Roosevelt Road. 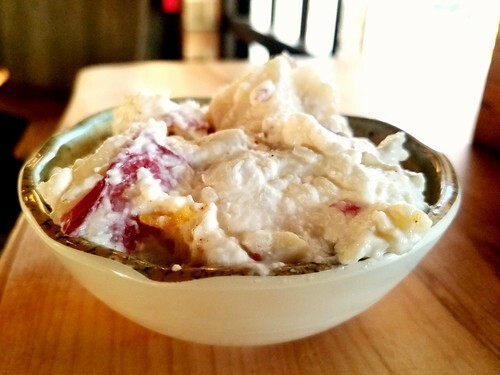 Saboroso (Portuguese for delicious). After having a good bit of my weekend usurped with my day job and juggling several photography assignments, I needed a moment to replenish myself. 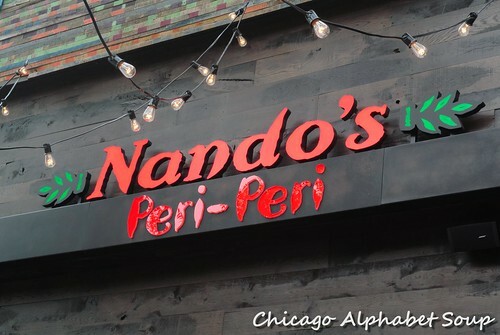 I sent a text message to a great friend mentioning a certain restaurant we had passed by a few weeks ago and when the response came back saying, “Let’s do it,” I grabbed my camera and headed to Nando’s Peri-Peri at 670 W. Diversey Parkway. With the temperatures still being humid, I opted for something to cool me off. 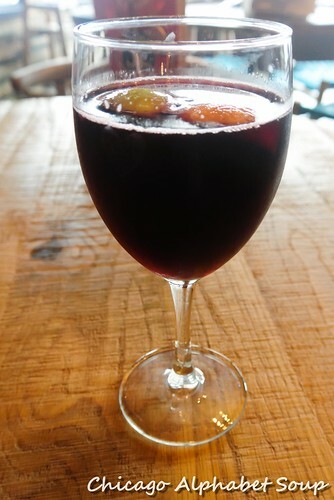 I can’t say that the red wine sangria I ordered was the best option for taking the sting out of the heat that we were experiencing, but I was quite okay, nevertheless, by the second glass. And it was certainly enough to make me forget about work for a moment. When temperatures are in the 90’s and muggy, I usually try not to eat too much food. Well, I must be honest and admit that I don’t try that hard. I ordered a half chicken spicy, a side of Portuguese rice, mashed potatoes, and garlic bread. 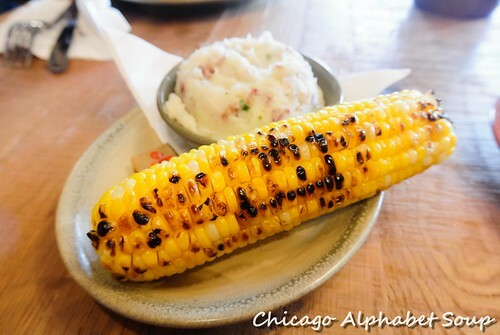 Just when the cashier was about to ring up my order, I interrupted with an order for grilled corn on the cob. Every bit of it was delicious. Succulent chicken, mashed potatoes that didn’t taste like they had been prepared from powdered mix, rice that wasn’t sticky, sweet corn on the cob, and garlic bread that was not toast, I was one satisfied customer. And I earned my extra stripes for being an active member of the Clean Plate Society. Nando’s Peri-Peri has somewhat of a big box feel to it, as far as size of the interior. But there is something more homey about the experience. Much like the Nando’s Peri-Peri that I first experienced in Washington, DC, the food is consistently great. 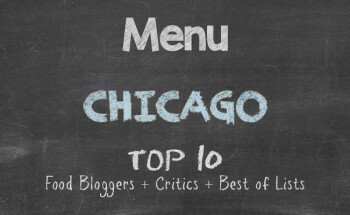 I shall definitely return several more times over the next few months to sample some other items from the menu. 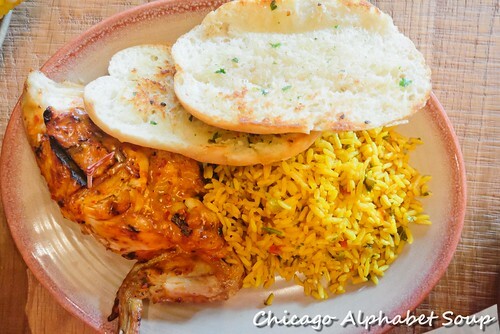 For those who are in the Lakeview neighbourhood or passing through, stop in, put your feet under a table, and let your taste buds know that Nando’s Peri-Peri can bring about a smile to your face, or at least a smear of gravy to the corner of your mouth.